Tango Vadio is back in business, and is here to stay! 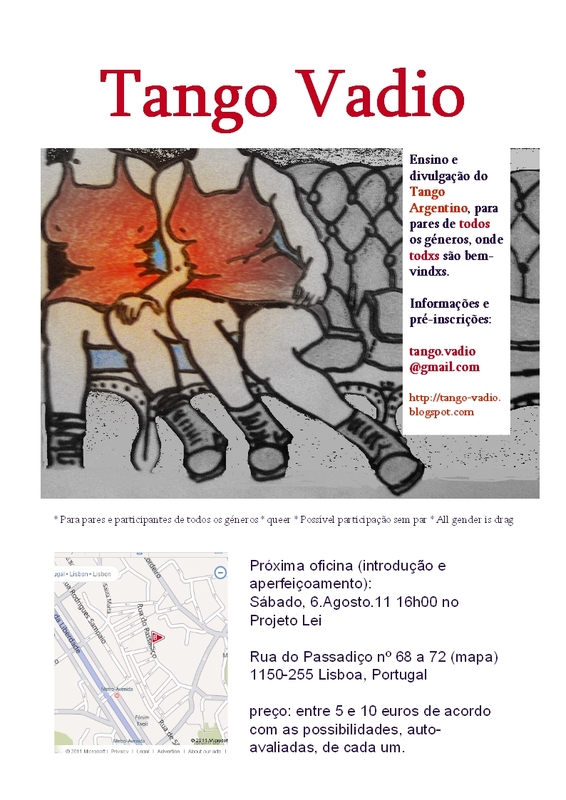 Slideshow with moments from Tango Vadio Workshop, in Projecto-Lei, Lisbon, 6th of August 2011. Primeiro esticaremos os músculos, as meninges e os parquets a aprender violentamente mais Tango em ambiente Queer, no Queer Tango Festival e agora voltamos a Lisboa. Tivemos nos últimos tempos dificuldades muito grandes com ter um espaço adequado para dançarmos convosco. Mas parece que agora, finalmente, é desta! Dia 6 de Agosto, às 16h. 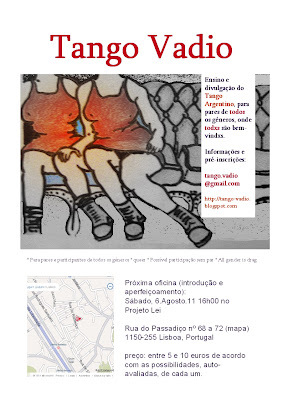 First we will stretch our muscles, brain-cells and stilletos learning intensely about Tango in a queer environment at the Queer Tango Festival and now we will be back in Lisbon. We had severe difficulties in finding a (new) apropriate ballroom to dance with you. But it looks like this time we made it! August, 6th de Agosto, 16h.